The American Boy: A Photographic Essay | Jon David Douglas, Bob Lamb | ISBN: 9781599264974 | Kostenloser Versand für alle Bücher mit Versand und Verkauf duch Amazon. AbeBooks.com: The American Boy: a Photographic Essay: Trade paperback (US). Glued binding. 80 p. Contains: Illustrations. Audience: General/trade. Fine. No dust jacket as issued. Find great deals for The American Boy a Photographic Essay by Bob Lamb 9781599264974. Shop with confidence on eBay! 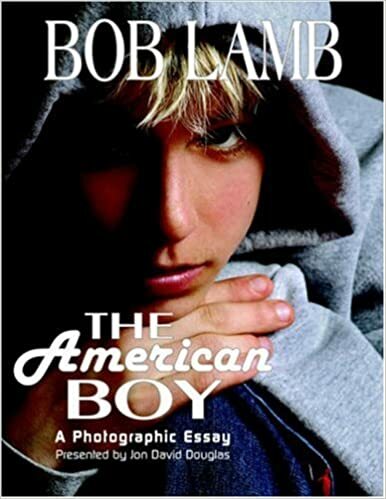 Booktopia has The American Boy : A Photographic Essay by Bob Lamb. Buy a discounted Paperback of The American Boy : A Photographic Essay online from Australia's leading online bookstore.